Looking for a classy present to buy a loved one during the festive season? Cufflinks are always a good choice when it comes to Christmas gifts. Double Barrel Cufflinks has a large selection to suit a wide range of tastes, from coloured cufflinks sure to brighten up any outfit to a classic range guaranteed to add an elegant touch to your suit. 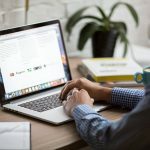 Returns are easy (you have 60 days after purchase to return or exchange) and for orders over AUS $60 you get free delivery too. 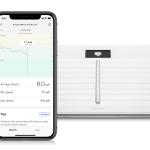 What’s more, it’s even possible to pay in instalments using Afterpay. In this feature we look at 6 pairs of cufflinks to choose from this Christmas. However, there’s plenty more choice on the website if none of them quite fit the bill. What could say Christmas more than a pair of cufflinks from Bethlehem itself (pictured at the top of the page)? 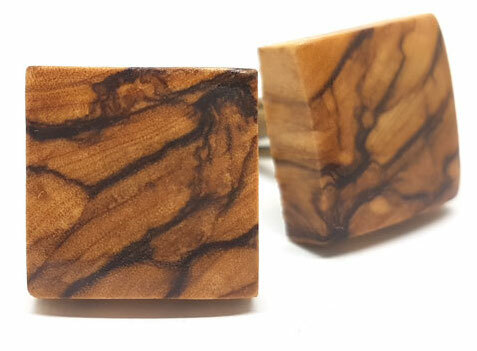 Featuring a brass bullet back and toggle, these premium cufflinks are crafted from olive wood grown from trees in the Holy land. Obviously because they are directly hewn from real wood, they are all slightly different from each other, and contain imperfections in the wood. However, that makes each pair completely unique! They cost $90.90. 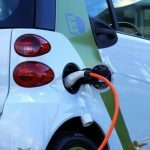 Got a big family wedding planned in 2018? Then how about buying a pair of cufflinks from Double Barrel’s wedding collection. Pictured are the company’s Art Deco cufflinks. 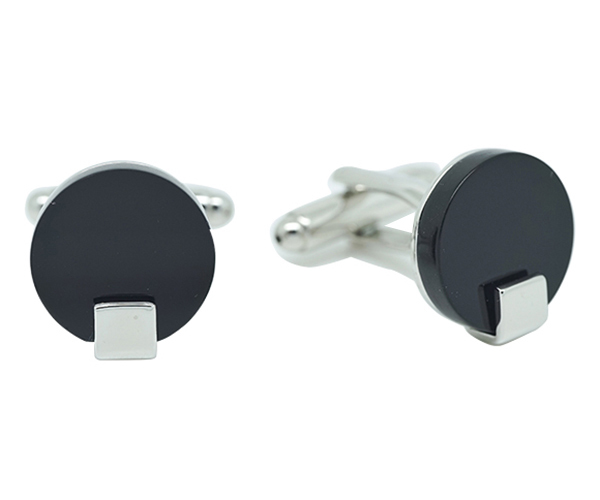 Crafted as simple orbs of jet black with just a bit of stainless steel, these stylish cufflinks are designed in attention grabbing stainless steel to finish your look wonderfully. They cost AUS $45.45. 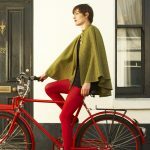 Want to add a splash of colour to a sober looking suit? Then check out Double Barrel’s coloured collection. 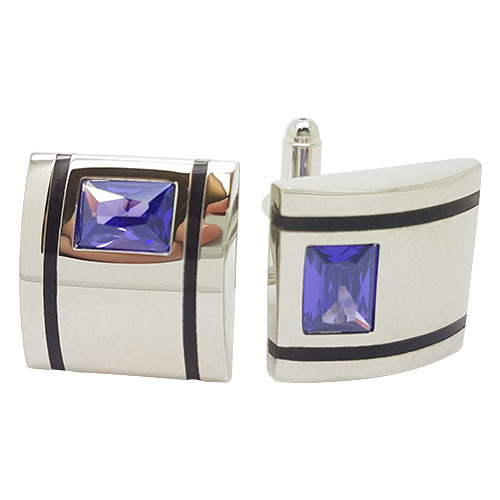 Sporting dazzling blue in a cool geometric designs, these handsome cufflinks are suitable for work or for play. They cost AUS $45.45. 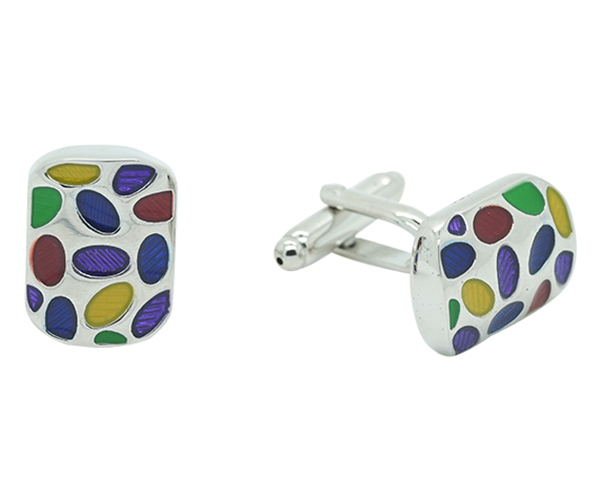 Have fun and party with these brightly coloured cufflinks from Double Barrel Cufflinks. Featuring elliptical shapes in bright colours, including blue, yellow, green and reds, the Fiesta cufflinks cost AUS $45.45. 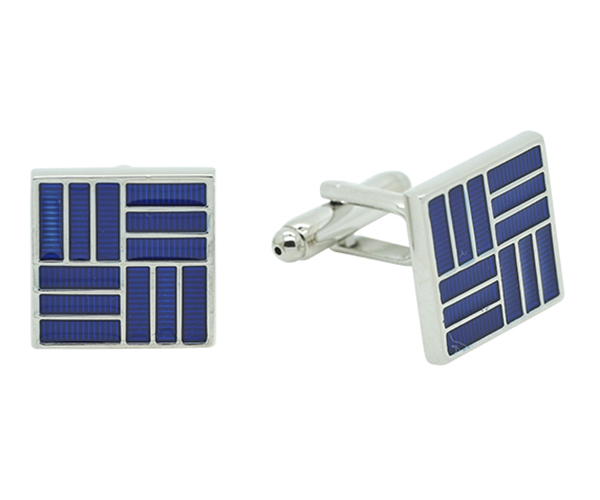 How about these for a distinctive and stylish pair of cufflinks? In this design, polished steel is accented by two black stripe. However, the main feature is the large purple simulated gemstone. Featuring a bullet and toggle, they retail for AUS $45.45. Looking for something really special for a loved one this Christmas? Then how about choosing a pair of cufflinks from Double Barrel’s Premium range. 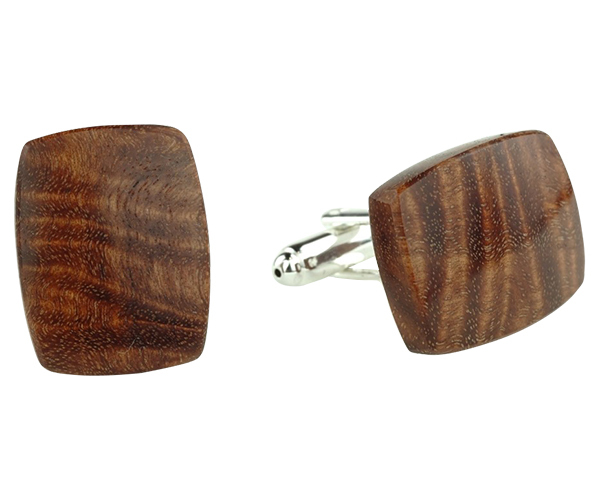 There’s loads of choice including several pairs of wooden cufflinks. We really like this pair made from Australian Blackwood. Like the Bethlehem pair featured above, they are hewn from real wood and so each pair is absolutely unique! They cost $90.90.